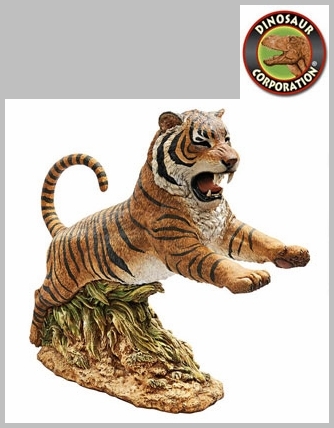 Bengal Tiger Statue Outdoor Garden Sculpture. 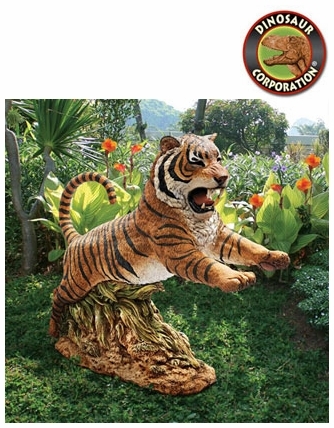 Captured in mid-leap, this majestic Bengal Tiger personifies the true spirit of nature and the law of the wild. Another amazing garden animal sculpture at almost a yard long. * Size: 32" W x 9�" D x 27" H.